Great C2 commercial storefront in Coolidge AZ! 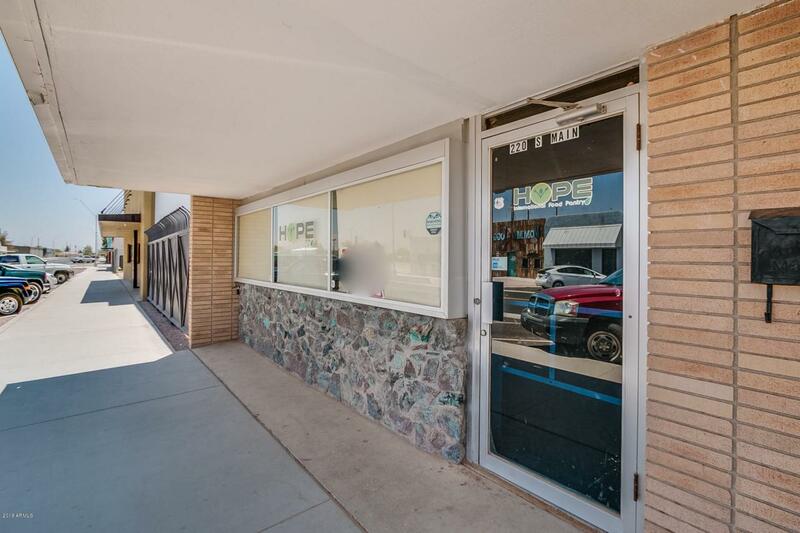 Building features air conditioned lobby storefront, 2 offices, kitchenette, bathroom, fenced storage yard out back & includes the adjoining corner lot to the north - join these parcels & support the business with parking, storage and more! Multi-use potential (daycare, retail, office or professional services including but not limited to insurance, 3rd party MVD, office, doctor/dentist, daycare, food bank or services, E-shopping, electronics, hobby or clothing shop, custom automotive supplies etc) See additional info for more potential uses! Ample parking for customers and frontage street was just renovated by the City. Great opportunity to start your business as many services are currently not available in the vicinity, capture this market!